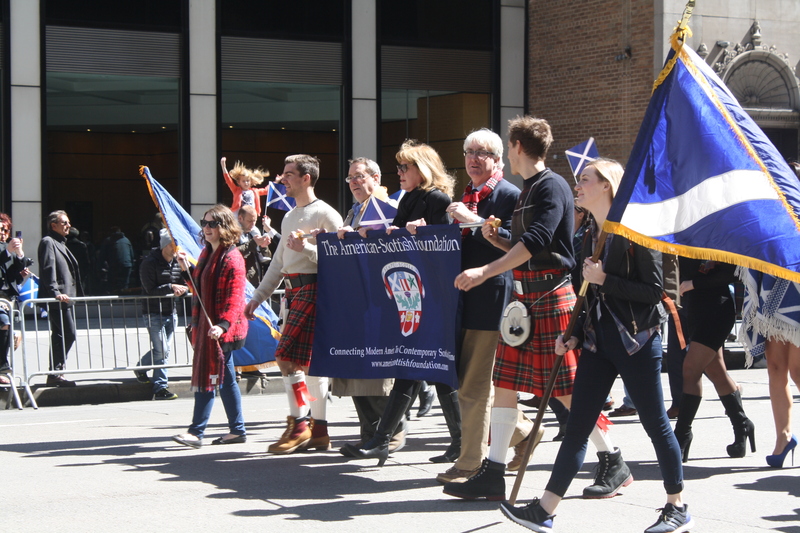 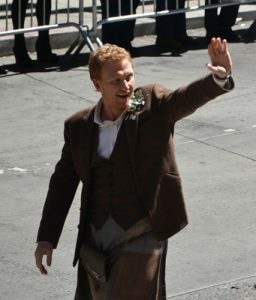 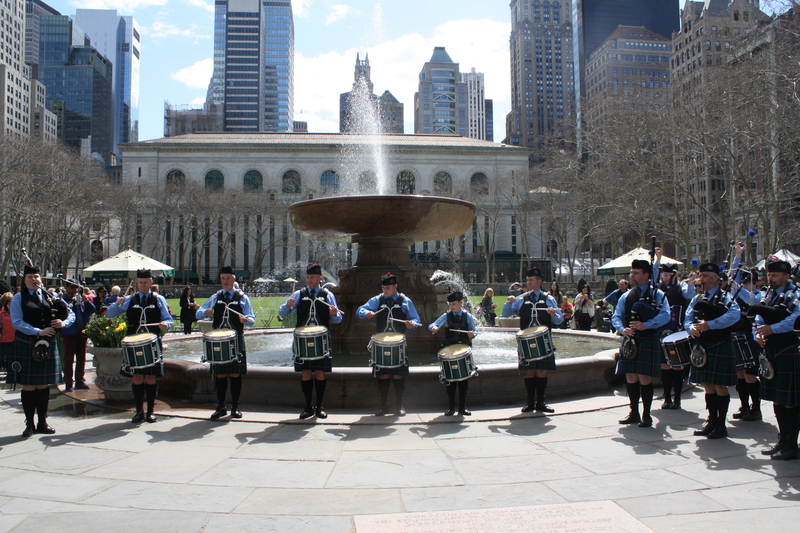 Sights from the 17th Annual New York Tartan Day Parade! 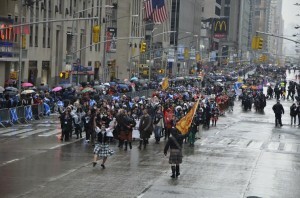 The 17th Annual New York Tartan Day Parade today was a smashing success. 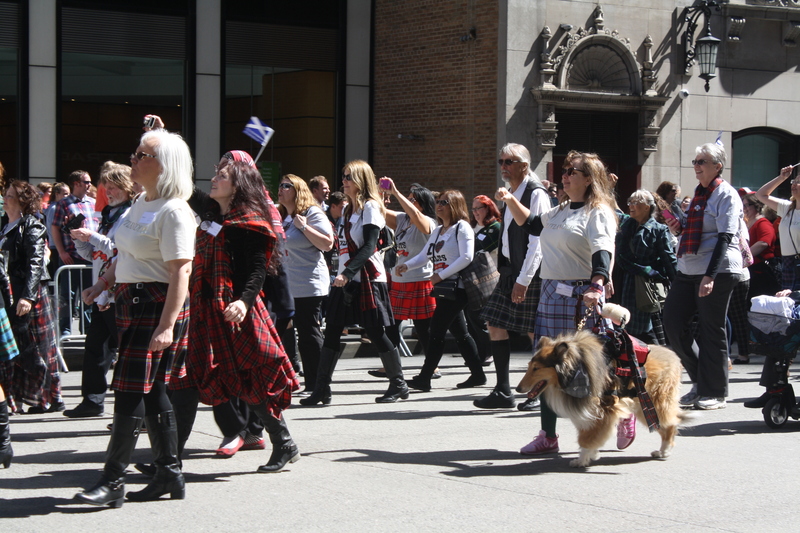 From the sounds of pipes and drums at the pre-parade concert at Bryant Park to the Westies and Scotties of the Barbour Tartan Dog Pack to the over 300 Outlander fans who came out to support Grand Marshal Graham McTavish, the day was a true celebration of Scottish culture and spirit! 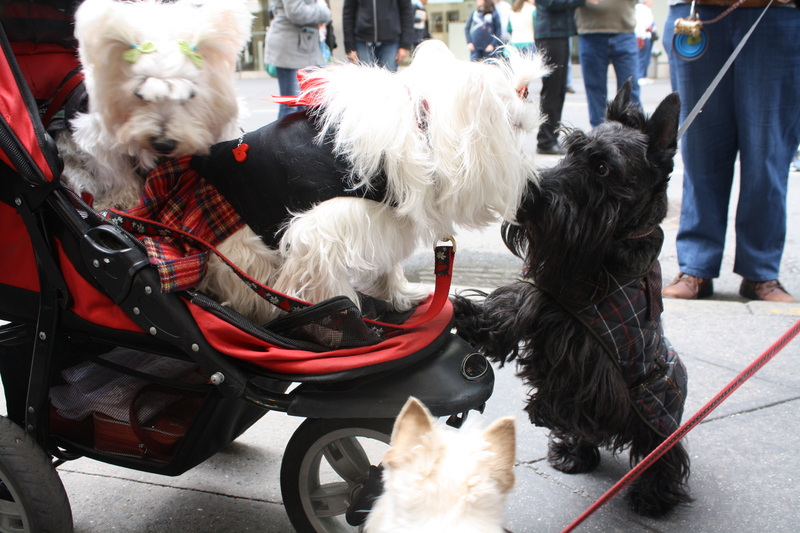 Members of the Barbour Tartan Dog Pack meeting each other for the first time! 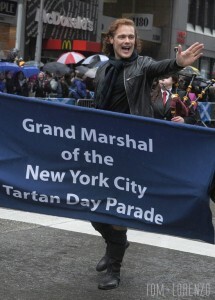 Over 300 Outlander fans joined in the festivities! 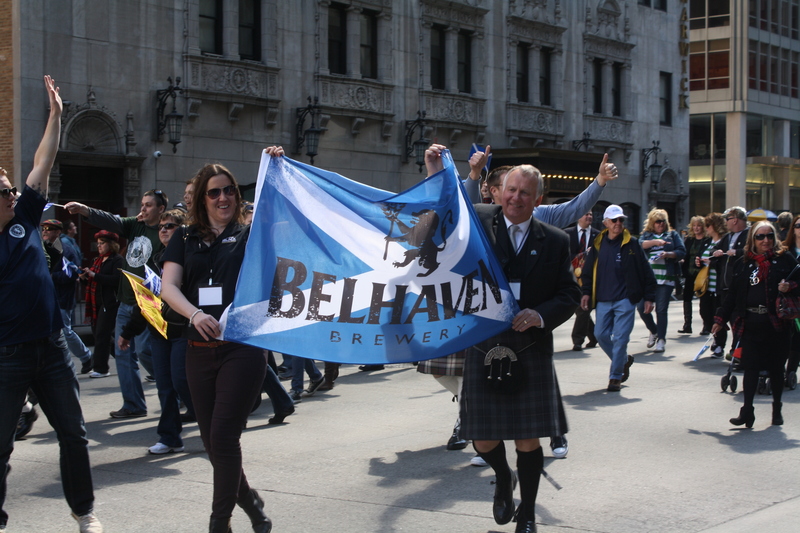 Belhaven, the official beer sponsor for the parade! 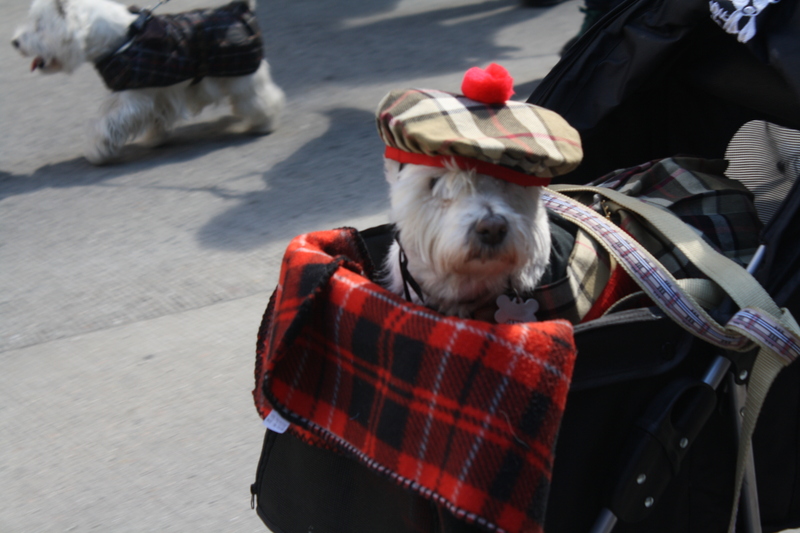 A strikingly well-dressed parade goer takes in the sound of pipes and drums. 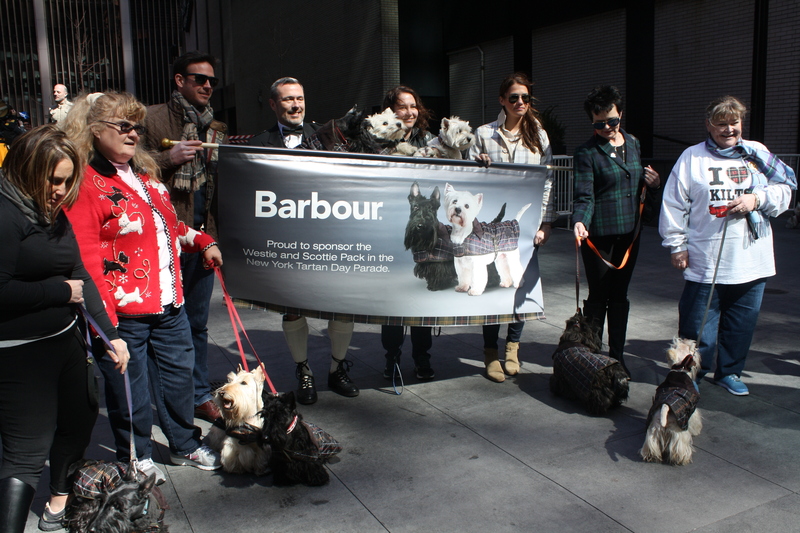 One of the members of the Barbour Tartan Dog Pack – a true model! 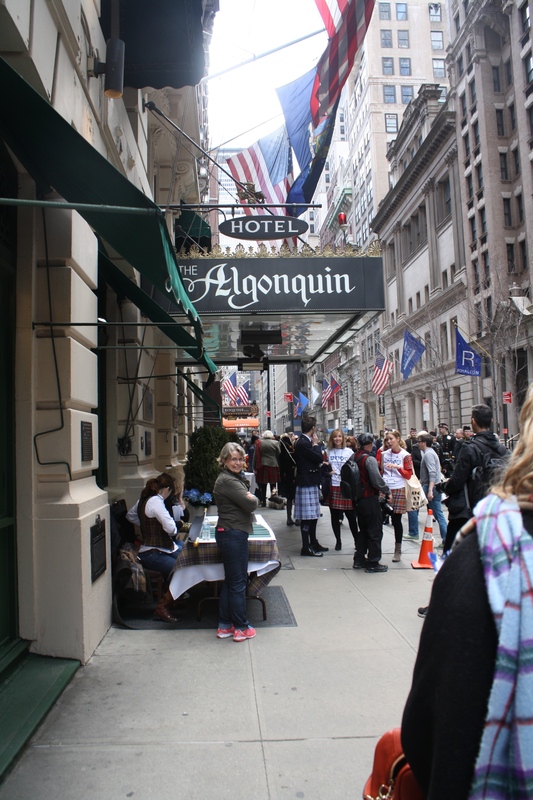 Many thanks to the Algonquin Hotel, our home base for the day of festivities! 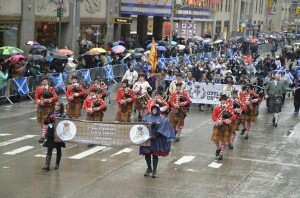 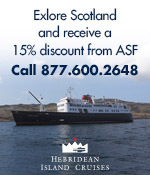 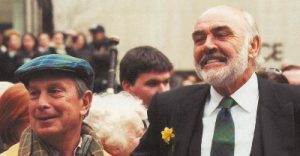 This entry was posted in ASF Events, Scotland-Tartan Week and tagged Algonquin Hotel, Barbour, Belhaven, Graham McTavish, Lanark and District Pipe Band, Rt. 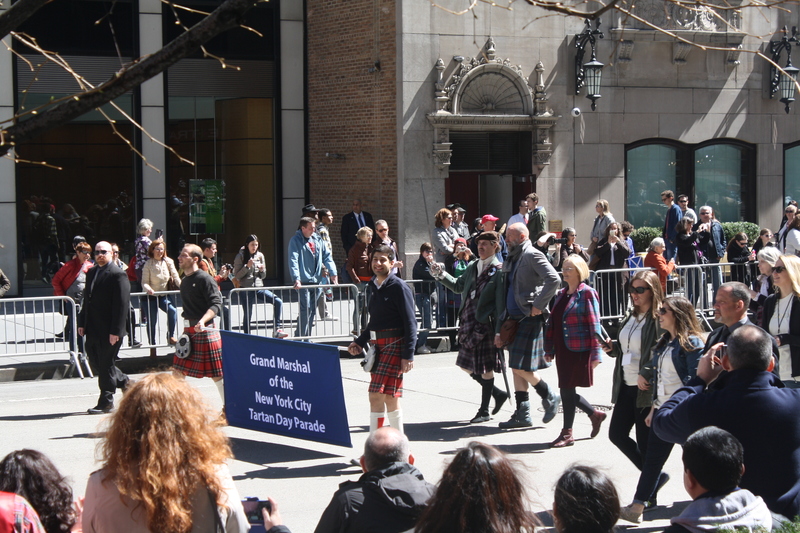 Hon Tricia Marwick, Tartan Day Parade 2015, Tartan Week, The Pipes and Drums of the Atlantic Watch on April 11, 2015 by Sara Heegaard. 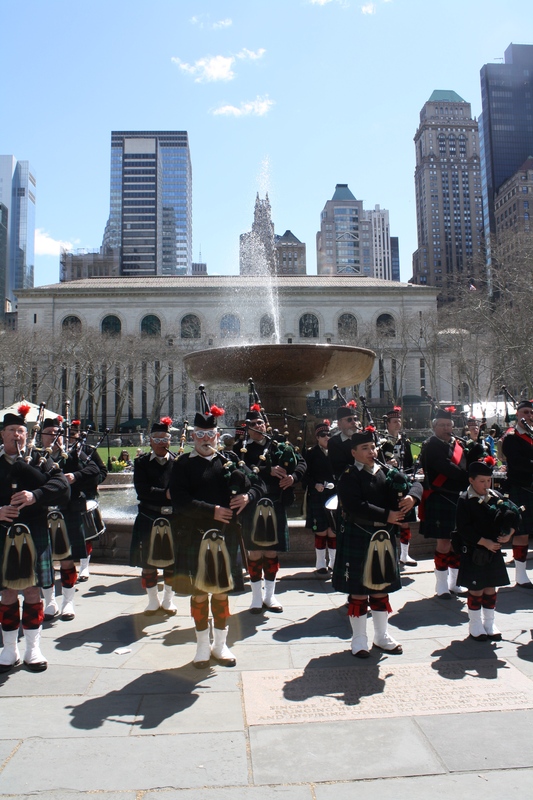 Grand Marshals Announced for the 17th Annual New York Tartan Day Parade! 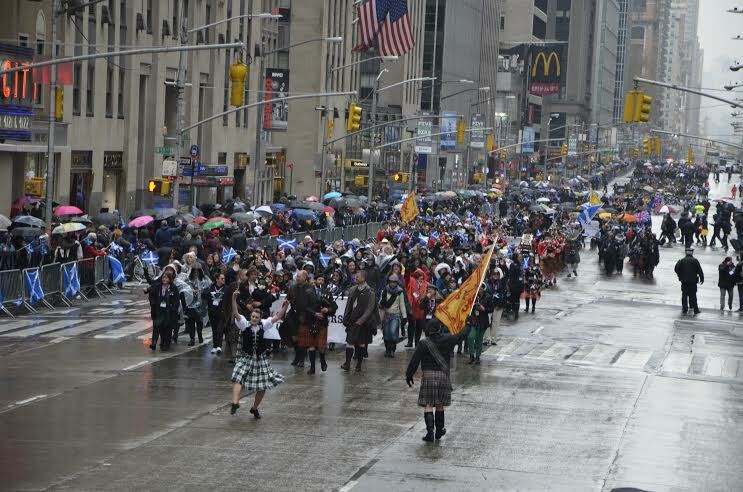 The 17th Annual New York Tartan Day Parade will be led by Graham McTavish, celebrated Scottish actor and star of Starz Original Series “Outlander” alongside Rt. 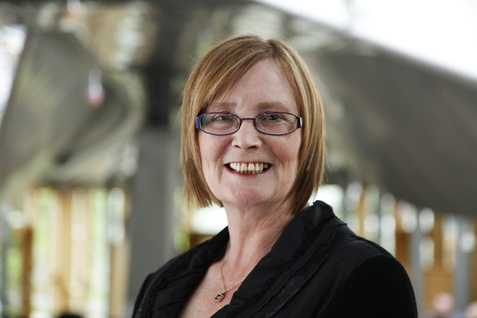 Hon Tricia Marwick, MSP, Presiding Officer of the Scottish Government. 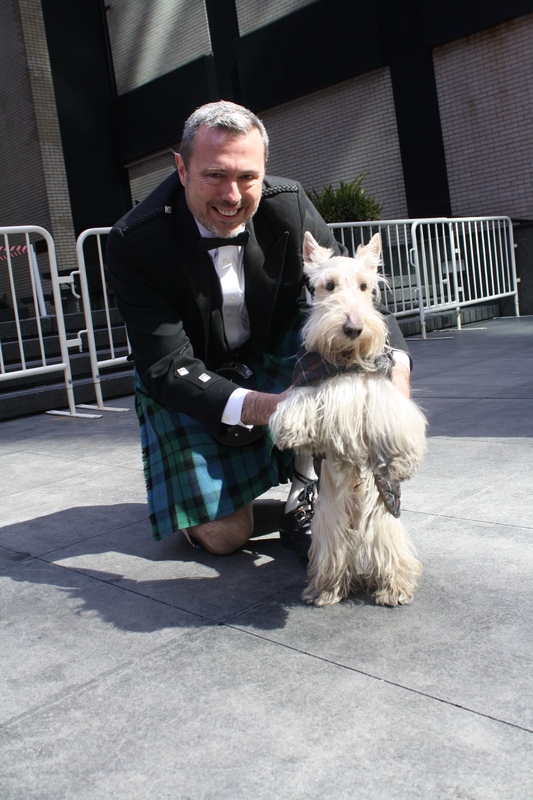 Mr. McTavish said: “It is a singular honor to follow in the footsteps of previous Grand Marshals. 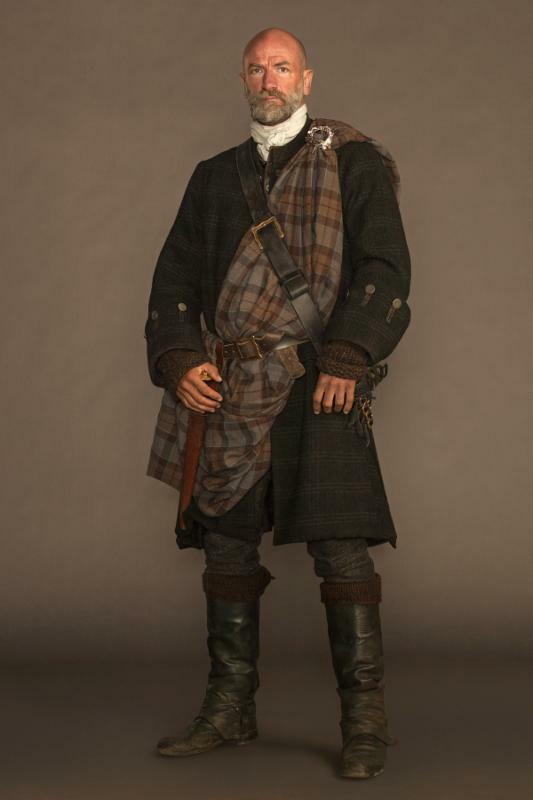 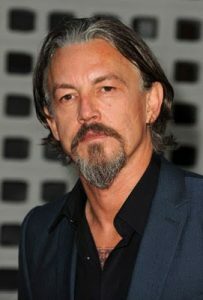 I hope I can live up to the illustrious tradition established by my predecessors and bring pride to my family, clan and nation,” Graham McTavish responded when accepting the role. 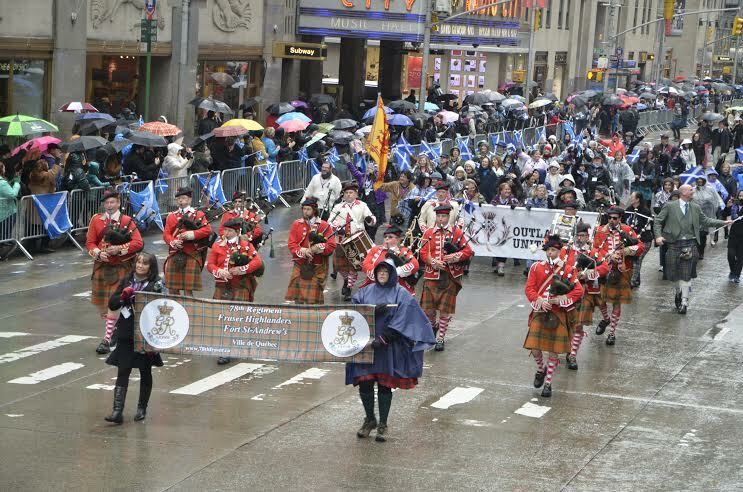 To register to march in the parade on Saturday, April 11, 2015, visit ASF’s homepage here. This entry was posted in ASF Events, Scotland-Tartan Week and tagged Graham McTavish, Tartan Day Parade on March 3, 2015 by Sara Heegaard.